From direction of Tolmin: we turn to right before Kobarid (200 metres after Petrol gas station, board Brežnica). In a new crossroads we again turn to right (board) and continue across a bridge where we turn left. 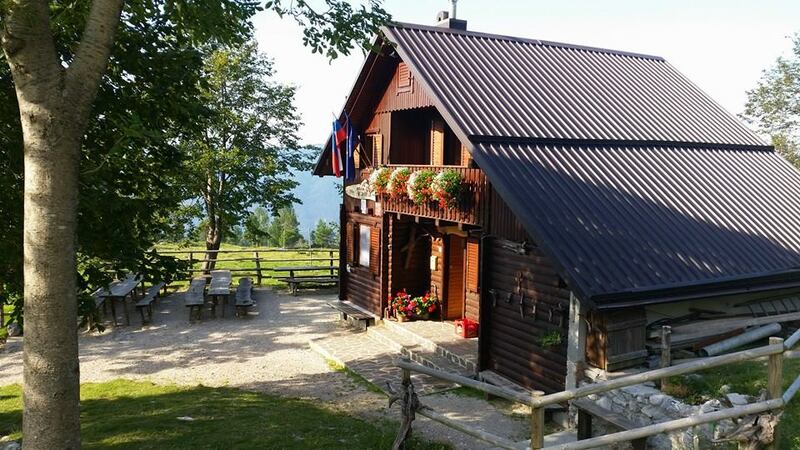 When we come to center of Drežnica we turn left and drive to village Drežniške Ravne. In the village we turn right and we continue on a concrete road getting us to a water manger and we come to a starting point of our way. From direction of Bovec: in a crossroads before Kobarid we follow the main (new) bypass and turn left (board) in first crossroads. From now on it is the same as from direction of Tolmin. The parking lots continue as a macadam road with a few shortcuts. If we continue on the road after about hour walk on the left side of the road in the right-hand bend observed marks on the top Krasji. If we go Monday walking paths, these labels have been seen since walking path in this work do not crosses the road (a distance of the 15m). The path is then vzpne Monday tractor trains, and soon after connected with the mountain path Zaprikraj. The path is then climbing up a flight of a moderate increase forested slopes. The path crosses JASO forward to the grass grows high and then re-vzpne to a crossroads at an altitude of 1450m. Proceed right in the direction of snow caves. 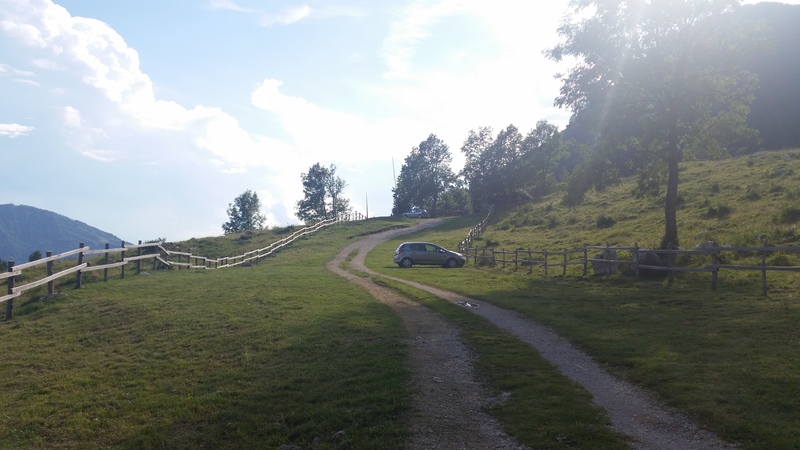 The way forward is initially zložno climbs through the forest and leads us slightly higher in less overgrown slopes, which lead us to the crossroads. Continue straight, left five minutes down a snow cave. The path is then slightly strmeje vzpne and leads to a small World War II. The left below us in kotanji seen more metal cage in which they are housed unexploded bomb. 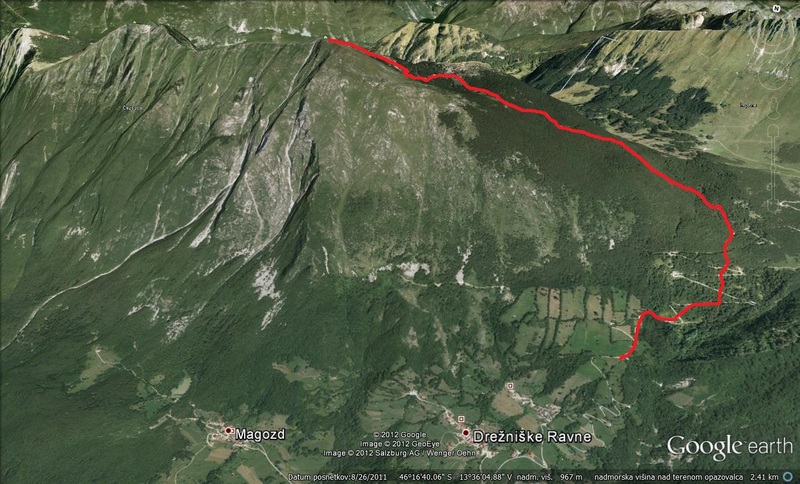 The path then pass to the reef, where we open a lovely view of the Bovško valley and surrounding peaks. Now a bad ten minutes walk on a ridge crest undemanding.